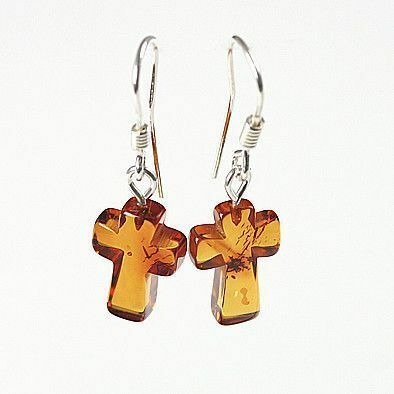 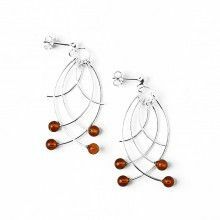 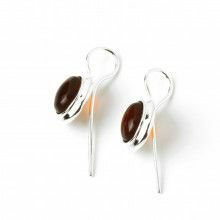 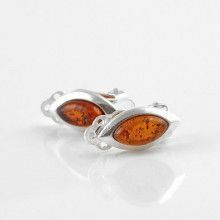 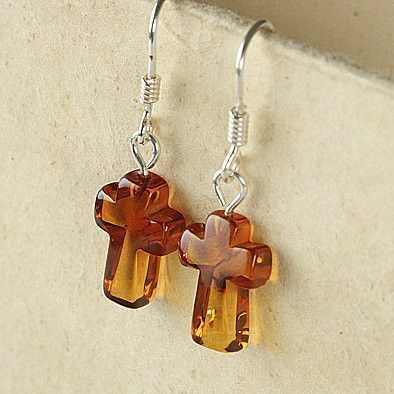 These honey amber earrings measure Approximately 1 1/2" in length, and feature honey amber crosses which measure 1/2" x 3/8". 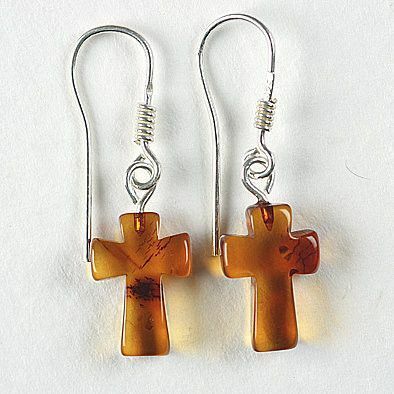 Amber gives off a warm vibrant glow when it comes into contact with light, which make it great for religious jewelry. 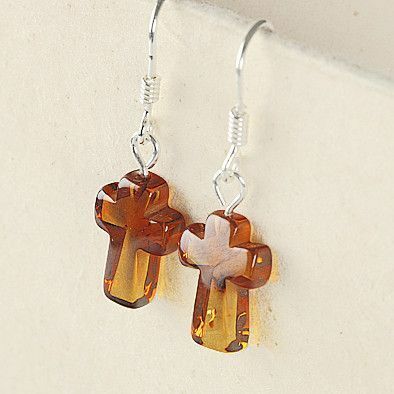 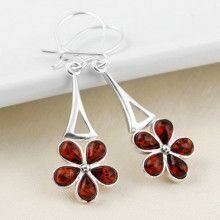 These earrings are a beautiful, yet modest way to display one's faith.